There are numerous tourist attractions in Daman. However what matters most is not their number but the diverse and distinct characteristics that they feature. The tourist spots in Daman are the ideal break from the monotony of similar type of sites and images. Varying in nature, the places of tourist interest in Daman always keep the interest level of the tourists very high as they eagerly wait what lies next for them. The inviting ambience, their exclusivity and some way or the other their closeness to nature create an indelible impression on the minds of the travelers. On tour to Daman you will also be enchanted seeing the variety in tourist spots. You can begin your sightseeing trip in Daman with gardens, monuments, beaches and many others. However best start would be the one propelled by visit to the holy places in Daman. 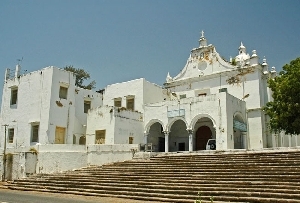 You must first visit the very famous Dominican Monastery in Daman. 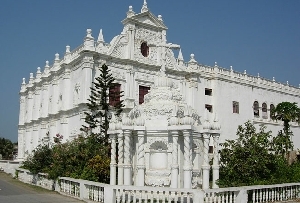 Daman Dominican Monastery is a seminary of great honor and reputation. How this magnificent religious school saw a massive downfall is still a mystery. But its imposing structure fairly carries a testimony to its past glory. The must-see object of interest of this monastery is the elaborately and intricately carved out floral stone placed at the abode of the main altar. 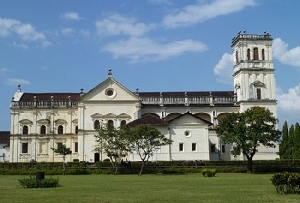 Dominican Monastery in Daman has previously served as the headquarters of theological studies. It was a world renowned seminary for the hieratic novitiates. Many catholic scholars from far and wide places were attracted to it. Its downfall and decline however remains a mystery that seems to be unsolvable. 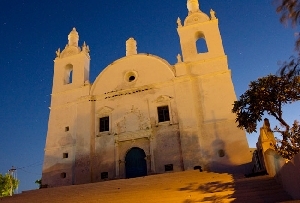 Daman Dominican Monastery is a representation of historic ruins. This monastery saw a massive downfall which till date escapes any logical explanation and strong interpretation. Today this bundle of remains bears a testimony to its own glorious past. 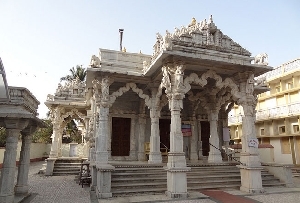 On arriving at this site, you will completely be mesmerized by the sight of the beautifully engraved floral stone that dots the abode of the main altar. On visiting Dominican Monastery in Daman you will also come across the landside gate of the Fort with Our Lady of Purification set at the top where she is revered by every passerby. On 2nd February when Catholics assemble before the gate to sing a litany, the beauty of the entire scene of the region goes beyond all definitions and descriptions. 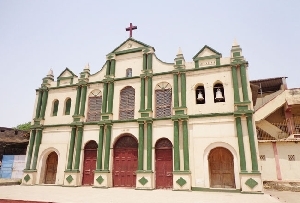 You must come to Daman Dominican Monastery during the 3rd Sunday of December. 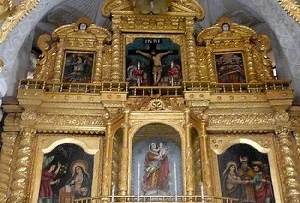 During this time a public mass is held in the honor of St. Dominic.